This entry was posted in Uncategorized on February 19, 2015 by Elvira Finnigan. Salt Trade installation opening, noon, February 12, 2015 – photo by Bruce Spielman. 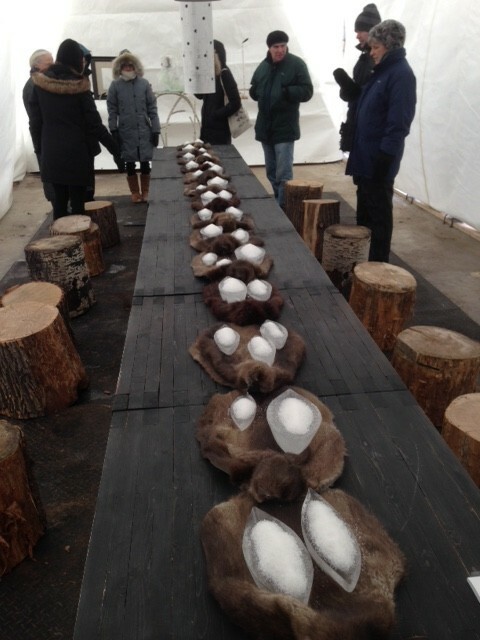 Salt Trade, a new experimental art installation by Elvira Finnigan pays homage to the early fur trade at the junction of the Red and Assiniboine Rivers in Winnipeg. 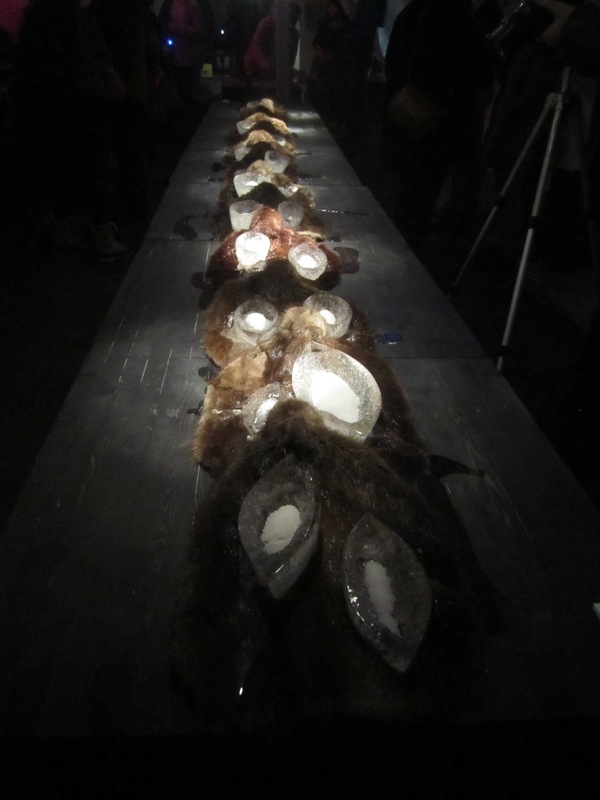 Constructed from salt, ice and fur, Salt Trade evolves from the interaction and deterioration of these elements. 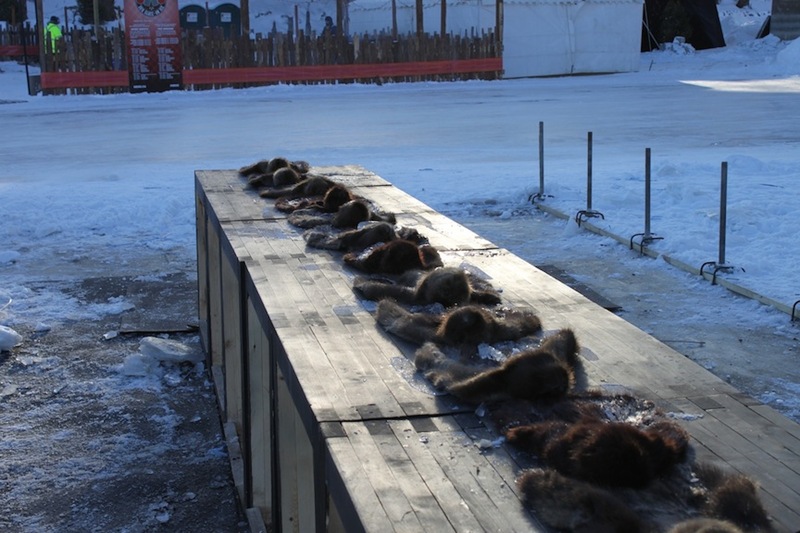 Commissioned by RAW gallery, Salt Trade begins February 12, the last day of the RAW/almond pop-up restaurant on the frozen river at the Forks. Guests will witness the deterioration of ice forms loaded with salt as the installation progresses. As the restaurant structure is dismantled around it, Salt Trade will remain in place for a few days depending on climate conditions. 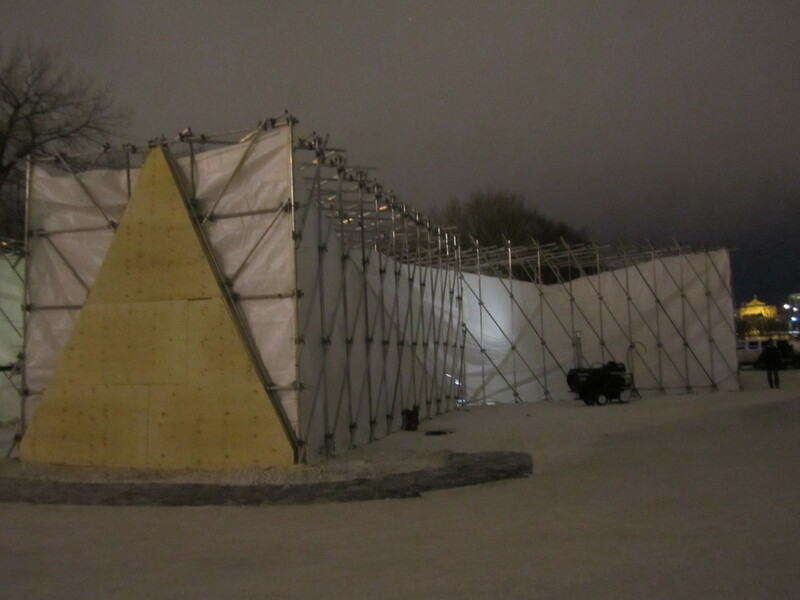 Weather permitting; the installation will be left out on the ice to be shaped by wind and snow and to be viewed by the public using the river skating trail. This entry was posted in Salt Trade on February 13, 2015 by Elvira Finnigan. This entry was posted in Feast and Aftermath on February 6, 2013 by Elvira Finnigan. When the feast was over, all the dishes, glasses and serving bowls with their leftovers were filled to the brim with a dense salt brine. 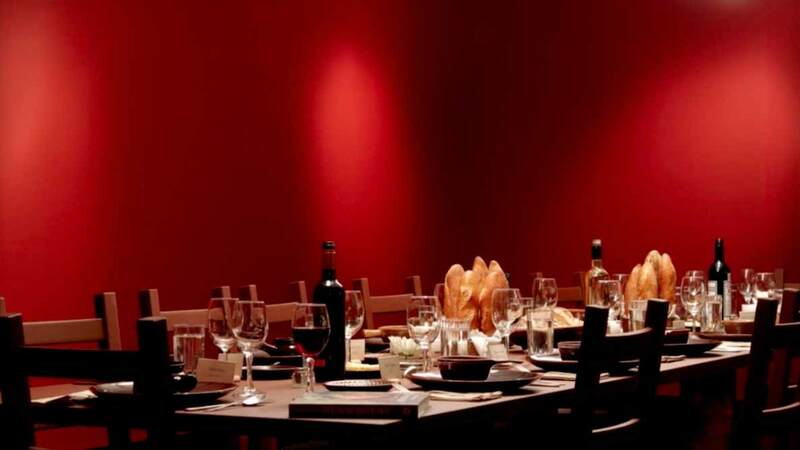 The table was then allowed to sit untouched for two months. The salt crystallization took over and created salt encrusted dishes, and seeped onto the table around them. This entry was posted in Feast and Aftermath on January 21, 2013 by Elvira Finnigan. This entry was posted in Feast and Aftermath on January 17, 2013 by Elvira Finnigan. The feast 12.12.12 was hosted and performed by the Collectif Post-néo-rielistes, a group of Franco-Manitoban writers at the Centre Culturel Franco-Manitobain in Winnipeg, Manitoba. The writers took turns reading excerpts of their work throughout the evening and left their papers along with the leftovers of their dinner on the table. At the end of the evening, Elvira Finnigan filled all the dishes and glasses to the brim with a dense salt brine. The table will now sit undisturbed for two months. This entry was posted in Feast and Aftermath on January 9, 2013 by Elvira Finnigan.